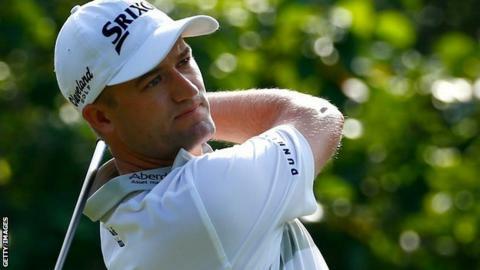 Russell Knox shot a third round 65 to move three shots behind leader Derek Fathauer in the PGA Tour's OHL Classic in Mayakoba, Mexico. Scot Knox won his first Tour title in Shanghai last week and carded a second successive round of 65 to move into contention for another tournament win. Overnight leader Graeme McDowell had a round of 70 as the Northern Irishman dropped to joint third with Knox. Fathauer carded a bogey-free, five-under 66 to move into the lead. The American is trying to become the sixth consecutive first-time winner on the PGA Tour. Knox hit seven birdies and a bogey in his round, while McDowell failed to replicate the form of his impressive eight-under 63 in the second round. His round included a double bogey, two bogeys and five birdies as he aims for his first PGA Tour win since 2013.